With Napoleon’s GL24E Gas Log Set you can have a roaring fire in seconds with just the flip of a switch. Imagine a fireplace that is ready when you are. With Napoleon’s GL24E Gas Log Set you can have a roaring fire in seconds with just the flip of a switch. There is no work necessary and virtually no maintenance needed. You just turn the fire on when you want it and turn it off when you’re done. Napoleon’s electronic ignition functions even when the power is out or the snow is 2 feet deep! So relax, Napoleon’s got this. An easy update to an old wood burning fireplace. 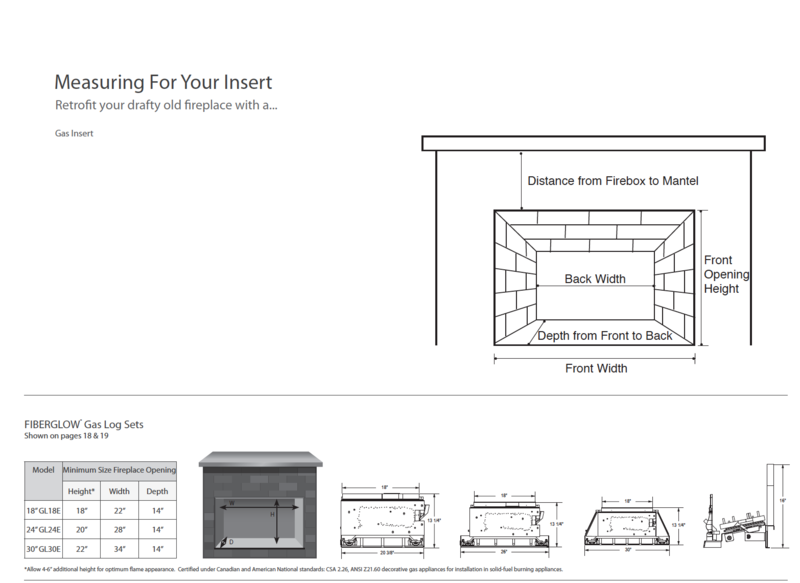 The GL24E installs easily into your existing wood fireplace opening. Everything needed comes in one box and uses your existing gas lines. No huge renovations. The efficient GL24E puts out up to 60,000 BTU’s making your favorite space cozy and warm. Less expensive than an insert, the GL24E Gas Log Set is also more realistic; boasting the highest and most realistic flames in the industry. The unique fiber burner cover absorbs the heat from the flames and glows like a real wood fire. Get the feel and look of a real wood fire without any of the work. Just imagine sitting down after a hard day’s work and just turning your fire on. When done with the fire, you only have to turn it off. You’ve already saved money by not needing to renovate. Save more on your heating bill by using your Gas Log Set to heat your favorite space. Turn the furnace down and let the GL24E warm you. When you’re done using it, the GL24E continues to warm your space using the radiant heat absorbed by the logs. Cozy. Warm. Effortless. In one box the GL24E Gas Log Set provides you with everything you need for the perfect fire. The burner assembly, black cast iron andirons and grate, the hand painted logs, unique ceramic fiber burner cover, lava/ember rocks, and charcoal lumps to place around the base.